home is where they send us...: Pizza. 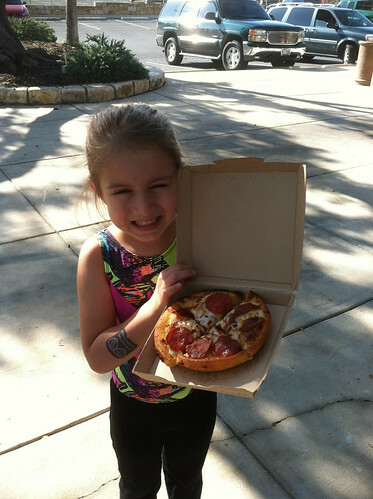 So, Gator is doing great with her reading and as a "reading reward" through the book-it program for home schoolers Gator gets a free pizza each month...look at how proud she is!! PIZZZZA! I remember Book-it! Mmm... now I want pizza!